Hot water under control: standard-complying protection of water heaters. 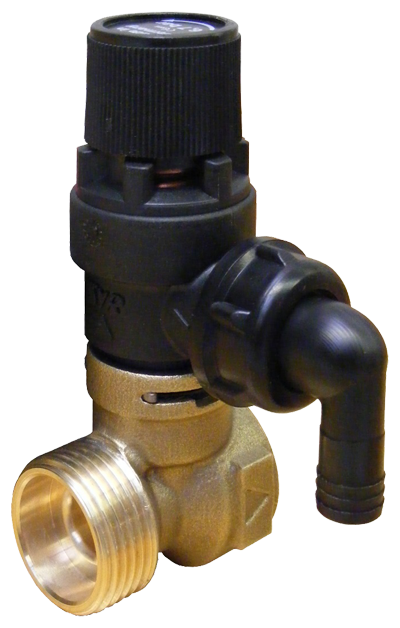 Pressure relief valves are designed to protect water heaters and installations against overpressure caused by the heating of water. With a range including membrane pressure relief valves, various models of the proven safety groups SYRobloc or the SafetyCenter 4807 with an anti-Legionella membrane expansion vessel, SYR offers everything that is required for the connection and protection of unvented water heaters. In accordance with standards, of course. And always under consideration of the service-friendliness. As, we from SYR attach importance to facilitating the installers’ work. Thus, our valves always provide total safety — easily and in no time.